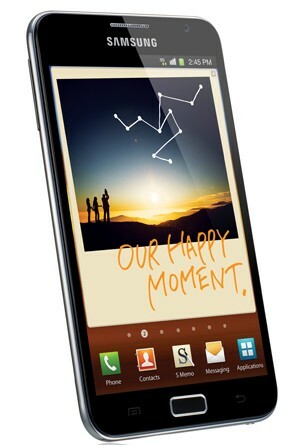 Samsung have announced the Samsung Galaxy Note. A 5.3" device that can't decide if it's a phone or a tablet! The phone/tablet comes with Touchwiz and a new Samsung concept, the S Pen, as well as a number of apps taking advantage of this pen including the S Planner, S Memo and a virtual collaborative whiteboard. No pricing orÂ availableÂ has been announced as of yet though. Interesting?